In colder climates, keeping railways free from snow in the winter months is essential to our transportation system. Spectrum Inc. contracted Northern Lights Solutions, Inc. to work with them to help design their track heater control panels. 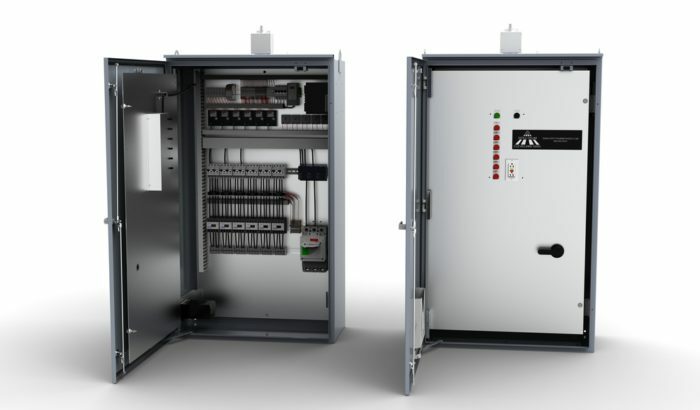 These are high voltage applications that must be reliable in all kinds of weather conditions so there are strict requirements to design of these systems that must be followed. These control panels must also be easy to manufacture and install on site in locations all over the United States. For more information on Spectrum Inc.’s railroad and industrial heater applications please follow this link to their website, Spectrum.